If supplying your own equipment it must include compass, computer, Octopus and BCD. It should be in good working order. A pocket resuscitation mask is essential for our course and available in store. Equipment – where full kit is required a special equipment hire fee of $80.00 is available for the entire course. If only partial equipment is required this fee will be recalculated, depending on what is needed. Use of all resuscitation mannequin, oxygen equipment, all air fills, training by a qualified First Aid Instructor. 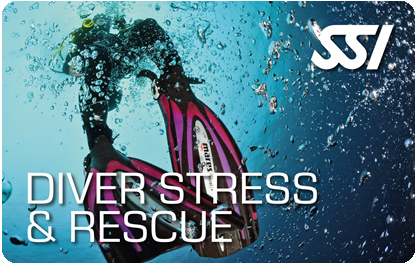 This program prepares you to help prevent, and if necessary, manage dive emergencies, minor & major, with a variety of techniques. What you will learn will improve your skill and confidence as a diver. Most certified divers look back on their PADI Rescue Diver training as one of the most challenging, sometimes demanding, and therefore most rewarding programs they’ve taken. The subject is serious, but the training is fun. Course Conditions and Booking requirements. Payments: All dive course bookings become non refundable for ANY reason 7 days prior to the course start date. Deferments: A $100.00 deferment fee applies if change is made more than 7 days prior to the course commencement date. Deferements within 7 days of the course commencement date may incur full course cost.. Course Structure variations: While we can accommodate variations to course structure, a $100.00 variation fee will apply for any alteration to the normal course dates.